These days, a car’s infotainment system is not unlike a personal computer, offering a myriad of connectivity options, from Bluetooth to specialized software, to help users interface with their mobile devices. 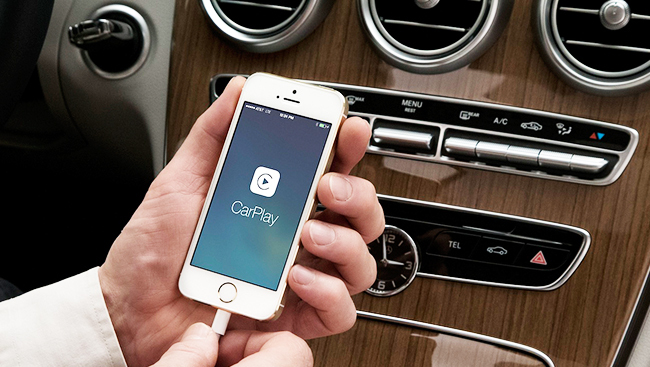 Two increasingly popular methods are Android Auto and Apple CarPlay. These platforms are distinctly different in functionality, yet similar in purpose, allowing occupants’ smartphones to sync up seamlessly with various vehicles, sharing data and projecting apps directly to an in-dash screen. One of the first mainstream consumer cars to offer both platforms was the refreshed Honda Accord, which the Japanese automaker appropriately debuted to an audience in California’s Silicon Valley. Honda calls this current model the “highest-tech Accord ever,” and aims to help drivers stay connected and drive safer on another level with these new features. “Customers want their vehicles to be more intelligently integrated with their smartphone-powered lives, and we are committed to delivering that experience starting with the Accord,” said Dave Gardner, senior vice president of Honda Canada, in a press release. For those favouring iPhones, Apple fans will no doubt feel a sense of comfort when greeted with a home screen in the cabin – very closely mirroring the one found on their handheld unit – after attaching the Lightning cable. That is, as long as it’s an iPhone 5 or later and running at least iOS 7.1 (for optimal use, iOS 8.3 and above). After the link is complete, the user can call or send messages by touching the corresponding app icons on the display. iTunes is also supported, as is Podcasts, Audiobooks, Slacker Radio, and more are on the way. Like Android Auto, hands-free operation is available. Pressing and holding the TALK button on the steering wheel activates Siri, allowing everything from asking her to play music by your favourite band or queue a specific playlist you have saved, to recommending a nearby restaurant or reciting the temperatures for the week. 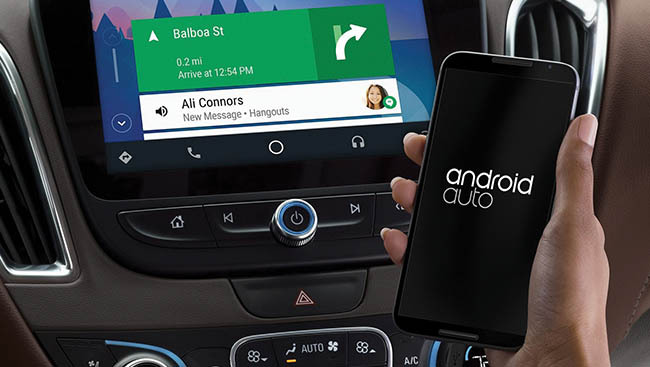 Android Auto is compatible with any Android phone running the 5.0 (Lollipop) operating system, and to get started you simply plug in using a USB connector. There is a companion app with the same name that resides on your smartphone acting as a bridge to the car. Once connected, your phone’s display will turn blank and all commands are routed to the dash. Unsurprisingly, Google is the name of the game here and they develop a lot of the software most drivers will commonly use the most, such as Google Maps, Google Now, and Google Play Music. Other familiar apps include Skype, Spotify, iHeart Radio and more. Additional programs are expected to follow down the road. Using Android Auto should feel like second nature to today’s mobile device power user. On the Display Audio screen, swiping, tapping and pinching-to-zoom functionality are all available, and there is a heavy emphasis on voice input to minimize distraction to the person behind the wheel. Just a note – Android Auto only controls the entertainment and navigation, but not core vehicle settings like climate control. Not every car rolling off the assembly right now comes with the above-mentioned connectivity options, but more and more models are adopting the cutting-edge technology due to demand and its added convenience. Some other manufacturers joining the fray are Acura (2017 NSX), Audi (2017 A4, Q7) Buick (2016 Lacrosse, Regal) Cadillac (2016 ATS, ELR, CTS), Ferrari (2016 488 GTB, California T), Hyundai (2017 Elantra), Porsche (2016 911, 2017 Macan), and Volvo (2016 XC90, 2017 S90), to name a few. Does your vehicle not have either of these nifty features, but you wish it did? Don’t fret, as some aftermarket audio companies are supplying just the thing. Alpine for instance carries the iLX-007 receiver that fits right into standard double-DIN dash spaces, working with Apple devices. The 7.0-inch capacitive touch-friendly interface gives access to your cellphone’s music library, messages, streaming music apps, and more. Or, ask Siri for directions, to set a reminder, and do all the other earlier discussed items you’re accustomed to without having to take your focus off the road.